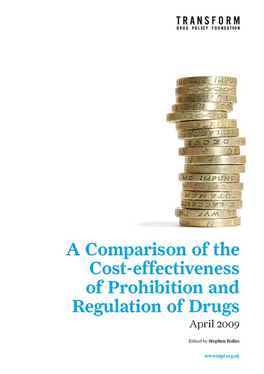 In its report "Refocusing Drug-Related Law Enforcement to Address Harms" released today, the UKDPC suggests that we need to get smarter in focusing law enforcement to reduce the harms associated with illegal drugs and illegal drug markets. Enforcement has contained illegal drug supply, but more arrests and drug seizures do not always lead to lower availability or fewer problems. However, some innovative approaches have addressed the most harmful characteristics of entrenched drug markets e.g. violence/intimidation. New measures of impact are needed so operations are judged on real benefits to communities, not simply arrests and seizures. The report suggests very clearly that there are ‘unintended consequences’ of enforcing the drug laws and quotes UNODC chief Antonia Maria Costa from his 2008 paper ‘Fit for Purpose’. Transform welcomes the report for its clarity in showing that enforcement creates harm and for clearly calling for impact assessments of enforcement activity. As we explained in our recent meeting with Prime Minister Gordon Brown, to be meaningful such an assessment must explore all the options. 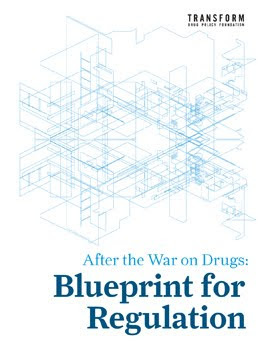 However, it is Transform’s view that the UK’s domestic strategy on drugs is part of a global ‘war on drugs’, (despite the US Drug Czar and Roger Howard’s claims to the contrary). On the BBC news this morning Roger was at pains to explain that there is no ‘war on drugs’. "Regardless of how you try to explain to people it's a 'war on drugs' or a 'war on a product,' people see a war on them," he said; "We're not at war with people in this country." Here's Roger's (BBC News): "You can't have a war against your own people and against your own citizens." The fact is that states can (and do) indeed engage in drug wars against their own and other nations’ citizens. And therein lies the problem with the UKDPC report. Like the conclusion of the report from Costa, it effectively calls for ‘tactical strikes’ in the war on drugs, not an end to the war. The ‘harms’ in the global drug war are the deaths and degradation of millions of the most marginalised people on earth, and it smacks of propaganda to even use the term ‘harms’. Tactical strikes to reduce damage to civilian bystanders is a nonsense when it is the drug control system itself and the enforcement of supply side laws that creates most of the trouble in the first place. If we are to truly remove the ‘harms’ caused by the drug control system we do not need smarter weapons, we must end the war on drugs altogether, and replace it with a normative regime based upon human development, human security and human rights – the three pillars of the UN. Last week Danny Kushlick, Mike Trace and David Raynes spoke at the Frontline Club to explore whether the war on drugs can be won. Danny also debated drug policy at the Cambridge Union in April this year, with Kathy Gyngell and Professor Neil MacKeganey. Worth a look, to see Kathy and Neil try to defend the indefensible. "The BCS excludes.... those crimes termed as victimless (e.g. possession of drugs)"
'Victimless' is an interesting phrase, not one used in jurisprudence, that is essentially political - tending to be flagged up as part of moves towards criminal penalties being removed (it rather reminded me of the old 'no victim, no crime' cannabis campaign stickers). Its inclusion here perhaps reflects the wider trend towards acknowledging personal drug use is not rightly the subject of criminal sanction even if it is the subject of social or state disapproval in one form or other. This is more than a purely intellectual trend as actual or de-facto decriminalisation of personal possession and use of drugs taking place in much of Europe and around the world. Where this leads intellectually is also an interesting question; if possession and consenting adult use is not criminal, what are the implications for commercial drug transactions between consenting adults, that also have no obvious victim? The statistical crime bulletin could very soon be largely just blank pages. Last week we submitted our response to the Sentencing Advisory Panel's Consultation on Sentencing For Drug Offences. It asks some fundamental questions about the premises on which the recommendations for change are based. Read the full Transform submission here. For useful companion documents see the detailed legal dissection and discussions, see Release's submission here and the UKDPC submission here. Every American was shocked when Robert McNamara, one of the master architects of the Vietnam war, acknowledged that not only did he believe the war was, "wrong, terribly wrong," but that he thought so at the very time he was helping to wage it. That's a mistake we must not make in this 10th year of America's all-out War on Drugs. It's surely time for this nation to stop flying blind, stop accepting the assurances of politicians and other officials, that if we only keep doing what we are doing, add a little more cash, break down a few more doors, lock up a few more Jan Warrens and Nicole Richardsons, then we will see the light at the end of the tunnel. Victory will be ours. Tonight we have seen a war that in its broad outline is not working. And we've seen some less war-like ideas that appear to hold promise. We've raised more questions than we've answered, because that's where the Drug War stands today. We're a confused people, desperately in need of answers and leadership. Legalization seems to many like too dangerous an experiment; to others, the War on Drugs, as it is now conducted, seems inhumane and too costly. Is there a middle ground? 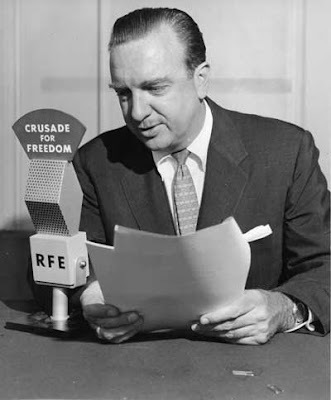 Well, it seems to this reporter that the time has come for President Clinton to do what President Hoover did when prohibition was tearing the nation apart: appoint a bi-partisan commission of distinguished citizens, perhaps including some of the people we heard tonight, a blue-ribbon panel to re-appraise our drug policy right down to its very core, a commission with full investigative authority and the prestige and power to override bureaucratic concerns and political considerations. Such a commission could help us focus our thinking, escape the cliches of the Drug War in favor of scientific fact, and more rationally analyze the real scope of the problem, answer the questions that bedevil us, and present a comprehensive drug policy for the future. We cannot go into tomorrow with the same formulas that are failing today. We must not blindly add to the body count and the terrible cost of the War on Drugs, only to learn from another Robert McNamara 30 years from now that what we've been doing is, "wrong, terribly wrong." Prime Minister Gordon Brown has held an important meeting with drugs policy campaigning group Transform, and Lembit Öpik, Liberal Democrat MP for Montgomeryshire to hear the case for an impact assessment of drug laws. "Impact assessment is a standard tool in Government for scrutinising policy and exploring alternative options that could achieve better outcomes. Our drug laws have not been assessed effectively since their enactment nearly forty years ago and the world is a very different place now." "I am confident that over the coming months and years, the drug laws will receive the level of parliamentary scrutiny currently reserved for the introduction of new legislation. Impact assessment offers us all a major opportunity to reframe the drug policy debate in a less emotive and more productive manner." "We are extremely grateful to the Prime Minister for considering our request. Mr. Brown was interested to hear about the 2003 No.10 Strategy Unit Report which he had not seen, which shows that supply side enforcement cannot work in the long term, and actually creates huge collateral damage." "While the Prime Minister didn't commit to implementing our request there and then, I am satisfied that he truly did listen. The impact assessment won't happen tomorrow, but this meeting is a start of a serious dialogue. We don't want to bully anyone into going along with this research - nor could we! But I'm confident that in the months ahead we will persuade the government that this is in everyone's interests, and I'm extremely grateful to the Prime Minister for holding this meeting to hear our case." Lembit Öpik added: "Overall, the Prime Minister had a useful discussion with the delegation. No commitment has at this stage been made, but he clearly takes seriously any proposals which have the potential to help us address the misuse of drugs, and all the associated social and health costs which go with it." "I support the Transform Drug Policy Foundation initiative and urge the government to undertake an impact assessment of the Misuse of Drugs Act." Transform is a think-tank that campaigns for sustainable well being, promoting the replacement of prohibition with effective and humane systems to regulate drugs. The UK Government should lead the world by carrying out an Impact Assessment (IA) of domestic drugs prohibition, starting with the Misuse of Drugs Act 1971 and related legislation. An IA should model all the alternatives including stepping up prohibition, Portuguese-style decriminalisation, and legal regulation. The EC and UN should undertake a similar exercise internationally to incorporate impacts on producer and transit countries, and ensure drug policy no longer undermines human development, human security and human rights. Despite the billions spent each year, evidence from around the globe, (including the PM’s Strategy Unit Drugs Report of 2003 ) shows the prohibitionist approach to drugs has consistently delivered the opposite of its stated goals, with the poor and marginalised hit hardest. The Director of the UN Office on Drugs and Crime also admits the international drug control system has massive ‘unintended consequences’ including: creating a huge criminal market; displacing policy from health to enforcement; and geographical displacement (the ‘balloon effect’). Using Impact Assessment as a guiding tool would help end the emotive and polarised debate around drug policy reform, and enable politicians to genuinely engage with the search for better alternatives. We all share the common goal of a drug policy that maximises environmental, physical, psychological and social wellbeing worldwide. Yet, whether viewed internationally or domestically, the prohibitionist approach has seen drug supply and availability increasing; use of drugs that cause the most harm increasing; health harms increasing; and massive levels of crime leading to a crisis in our criminal justice systems. Illicit drug profits are enriching criminals, fuelling conflict and undermining security and development in producer and transit countries from Mexico and Guinea Bissau, to Afghanistan and Colombia, with the gravest impacts falling upon the poor and marginalised. Whilst the UNODC acknowledges the high costs of prohibition, it has so far neglected to count them, or model alternatives. Similarly, the Home Office acknowledges that legal regulation of drug markets would have benefits , but claims they would be outweighed by the costs. Yet no such cost-benefit analysis has ever been carried out in the UK, or anywhere else. Value for money studies commissioned in 2007 remain unpublished. The UK could take the lead by carrying out an objective, independent, national assessment, comparing current policy with the alternatives; encourage other consumer, producer and transit countries to follow suit; and call for international assessments by the EC and UN. In the UK, drug legislation has changed little since the 1971 Misuse of Drugs Act (MDA) which has for many years been colliding with dramatically changed circumstances, including a massive increase in the use of illegal drugs, and a correspondingly huge illegal market, compounded by globalisation. As a result, a root and branch review is long overdue, and an Impact Assessment of the MDA should form the first step in genuinely assessing the UK’s approach to drugs. Through allowing the outcomes of any government intervention to be assessed against the goals it is supposed to meet, along with modelling alternatives, IA is a sophisticated tool to strengthen evidence-based policy-making, improve accountability and transparency, and enable more informed public and parliamentary debate. Typically IAs now consider the potential or actual impacts (positive and negative) of a policy in terms of the three pillars of sustainable development – economic, social and environmental. An IA aimed at helping to deliver evidence-based policy - behind which all stakeholders can unite - would put all options on the table, without committing any stakeholder to a specific position: from stepping up prohibition, through decriminalisation, to legal regulation and control. In addition to current mechanisms for regulating the supply of legal drugs and intoxicants, there are a variety of existing approaches to dealing with illicit drugs. These include Portugal’s decriminalisation of possession of drugs since 2001 (widely hailed as a success, including by the UNODC), the long-term large-scale maintenance prescription of heroin in Switzerland, and the Netherlands ‘coffee-shop’ system for cannabis. The application of IA for ex post evaluation of this kind has been less common than its use in ex ante assessment of proposed new measures. However, there is now recognition of the need for more evaluation work of this kind, for example in the European Commission work on IA. When an entire UK Act is subject to Impact Assessment it is often broken down into smaller sections each of which has a separate IA. For example the Police and Crime Bill currently before Parliament has twenty separate IAs addressing different aspects. The UNODC currently send out a biannual survey to member countries as part of its information gathering for the World Drug Report. Transform would like to see this include a template with questions for a country level IA, which could be collated as the basis for a global IA. An IA of drug policy would be in line with Government guidelines. For example, the Treasury Green Book states that: "...no policy, programme or project is adopted without first having the answer to these questions: (1) Are there better ways to achieve this objective? (2) Are there better uses for these resources?" More specifically, BERR IA guidelines say that all new legislation and policy changes with a cost or benefit to the public, private or third sectors greater than £5 million require the relevant government department to conduct an IA. This threshold has been crossed by many individual drug related interventions, and a number of other triggers have been pulled including: “When review leads to the identification of new policy challenges (perhaps arising from unintended consequences of the intervention itself), the [IA] process begins again." As previously noted there are huge unintended consequences of the current drug control system, and evidence shows the MDA is not delivering what it was supposed to - for example a twenty-fold increase in heroin use. There is a UK precedent for using IA to compare prohibition with decriminalisation or legal regulation of drugs. The 2005 Drugs Act had an Impact Assessment of the proposal to make Magic Mushrooms a Class A drug, including the option of allowing licensed sales. For too long the debate around drugs policy reform has been paralysed and polarised. An Impact Assessment offers an objective, independent and neutral tool for enabling key stakeholders to work together to create a drug policy fit for the 21st Century.